I actually never had to make Garam Masala myself as my mom would always have a jar ready for me whenever I visited India or she visited us in California. Now I think it is time I grow up and start making my own garam masala 😉 especially considering I have a food blog now and also a daughter to whom I want to pass on this recipe. So here is the recipe from my family, but adapted to make it simpler for everyday cooking. Frankly, there is not one single recipe for Garam Masala. 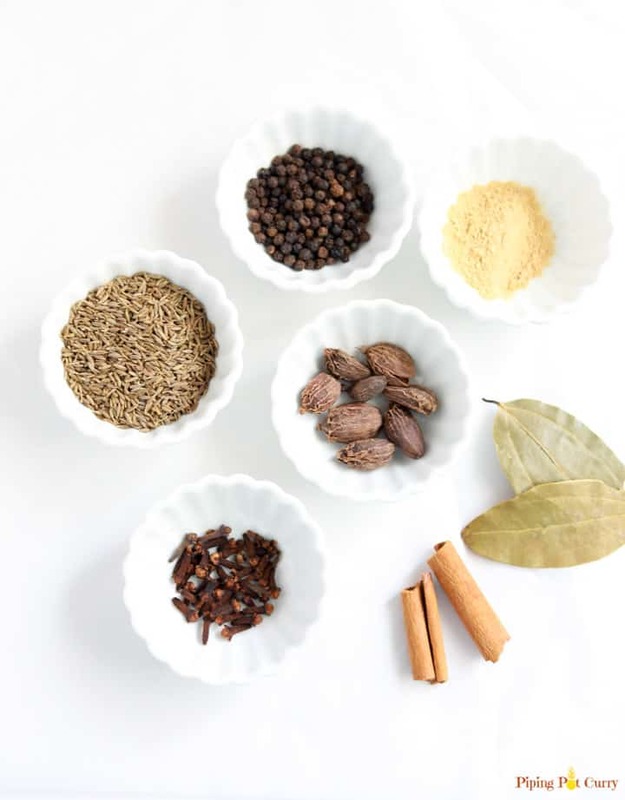 You will find that every region and every family has their own traditional recipe for Garam Masala, that gets passed down from generation to generation. In some recipes you will see I use whole spices, such as my mom’s chicken curry. While in many other recipes, I add the ground Garam Masala. 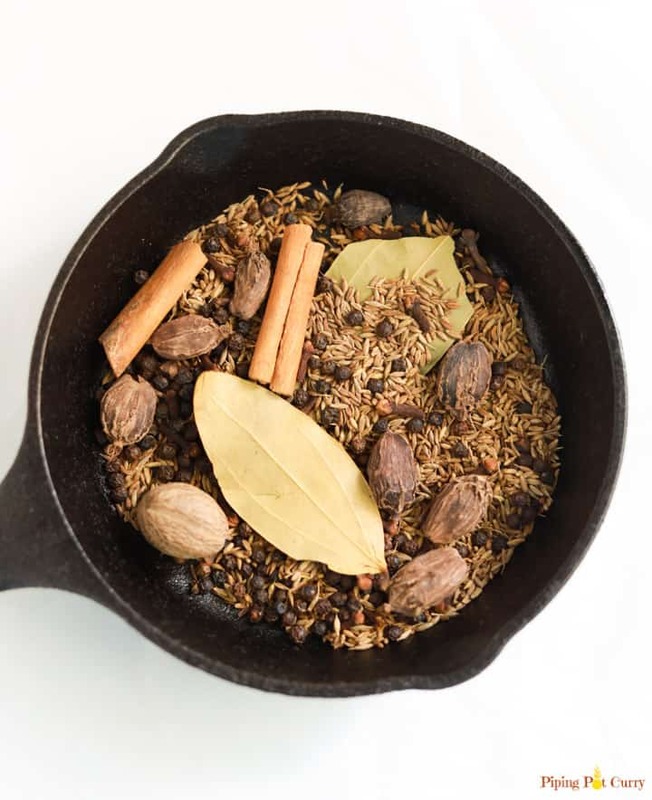 Indians are used to eating around the whole spices, but if you are worried about fishing out whole spices, then using this Garam Masala blend is a great way to add the flavor. 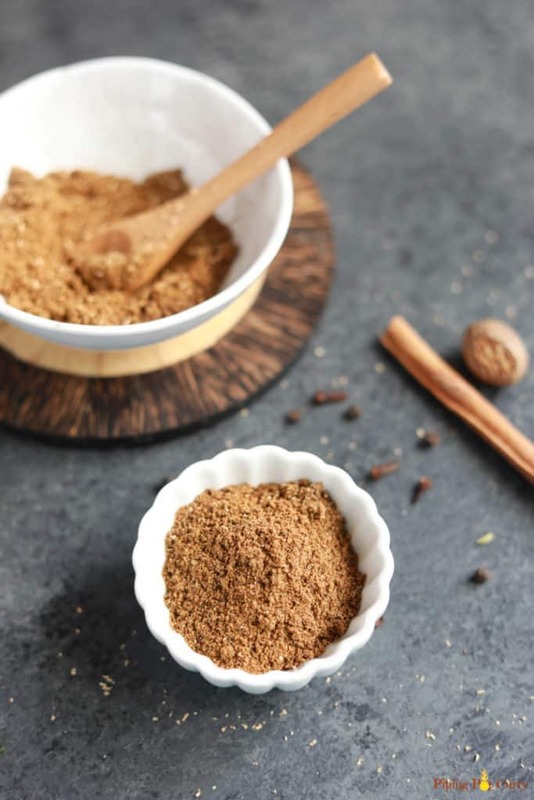 Garam Masala is a spice you can add to any curry, and it will add a wonderful fragrance right away! In Hindi, Garam means “warm” and Masala is basically a “blend of spices”. So Garam Masala translates to warm spice bend. It is not “hot”, in the sense that it does not include any red chilis to add heat. It has body warming spices blended together. Garam Masala originates in North India, where there are more colder seasons. So this warming spice blend helps and is definitely used much more in the colder days. In Ayurvedic medicine, it is believed that the spices in garam masala warm the body. This means they help to improve metabolism. 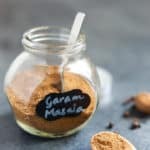 Other healing benefits of Garam Masala are helping with digestion, reduces inflammation and boosting the immune system. What spices are in Garam Masala? Some people add coriander seeds when making Garam Masala. However typically coriander powder is added when cooking separately too. So we do not include it in Punjabi Garam Masala recipe. Do we need to toast whole spices to make Garam Masala? 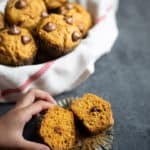 You will see some recipes with whole spices toasted, while others don’t. 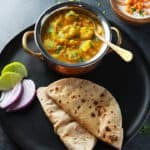 The main difference is that garam masala made with toasted spices can be added after a dish is cooked for a finishing touch as the spices are already cooked. While if garam masala is not made with toasted spices, then add it with other spices while cooking the dish. 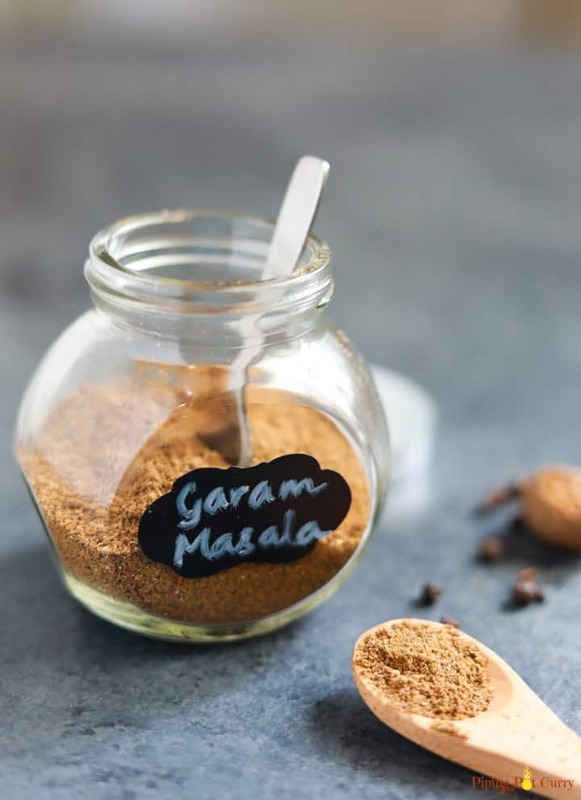 Most store-brought garam masala’s are not toasted, so do keep that in mind if you use them. 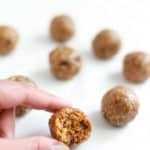 But really, it is super easy to make at home, so skip buying the ready made blend. I personally feel that toasting the spices and then grinding them to increases their aroma. Freshly made Garam Masala from whole spices gives the maximum flavor. You may be surprised to learn that curry powder is not a spice used in Indian homes. I read that it is a British invention. Curry powder is also a spice blend. However one of the main differences between these two spice blends is that curry powder is used by many (not in India) as a cooking ingredient to add flavor. Curry powder has turmeric as a main ingredient, which is what gives it the golden, yellowish color. Garam masala is deeper in color (dark brown), sweeter in taste and warmer. This is due to the addition of cinnamon, nutmeg, cardamom, cloves and black peppercorns. Curry powder and Garam Masala are NOT interchangeable in a recipe. Where to buy spices to make Garam Masala? You will find the spices to make Garam Masala at any local Indian grocery store (and they are most likely fresh and cheaper). If you can’t find a local Indian grocery, then any chain store such as Sprouts or Whole Foods would have them too. The final resort is buying from Amazon. 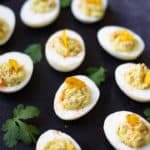 I have included links in the recipe card below. How to store Garam Masala? Garam Masala can be stored in an air tight container in a cool area away from direct light. Even though Garam Masala will not spoil even if kept for 6 months. Try to make fresh Garam Masala every 2-4 weeks, so it remains fragrant. Here is my spice box where I keep spices for every day use. For most of them, I also have a jar full of the spice to refill this box as needed. What is a good Garam Masala Substitute? As I mentioned above, Garam Masala is something that has a different recipe in each region and even family. So I suggest you can make Garam Masala with the ingredients you have on hand. 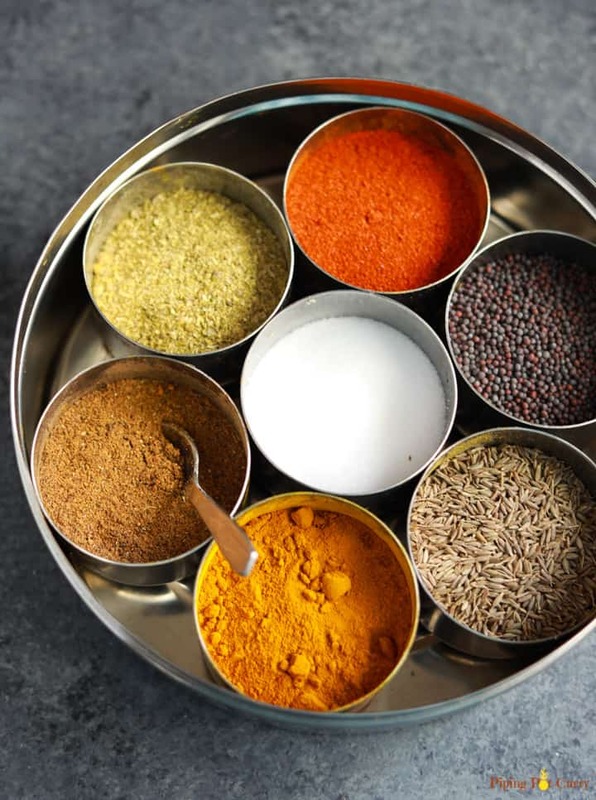 If you are making an indian dish and missing the blend, then look at the spices included and add small quantities of the ones used to make garam masala. Try varying your garam masala recipe to find spice combination of your preference. Where to buy Garam Masala? 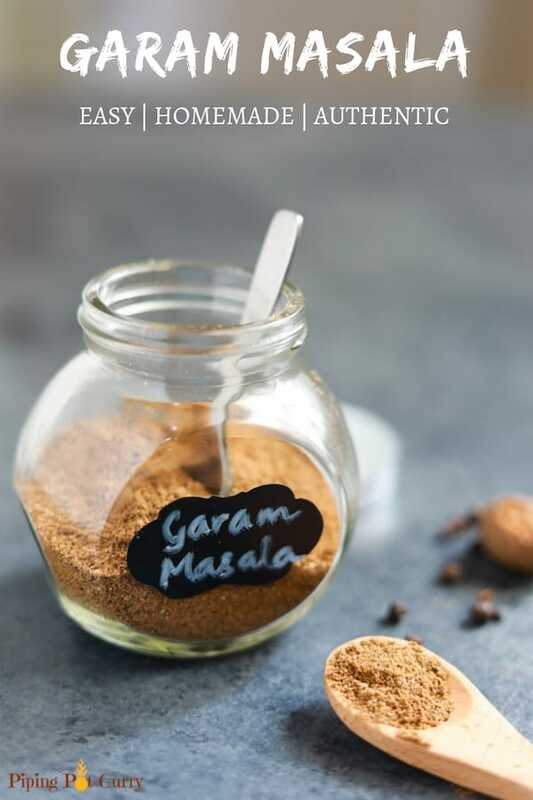 Although I highly recommend making Garam Masala at home (it is so easy to make! ), you can also find it at many grocery stores. I would suggest to look for the one that does not include a ton of spices, the main basic ingredients is what gives the most flavor. Look for an indian grocery store or in the international aisle of grocery chains. In my recipes, I many times add Garam Masala along with the other spices. This is to make the recipe easier and not having to spread of adding spices. That said, as I toast the spices to make Garam Masala, it is perfectly a great addition after cooking a curry! Heat a small skillet over medium-high heat. Once the pan is hot, add all the whole spices to it. Toast the spices shaking the skillet every few seconds. Cumin will turn reddish brown and bay leaves have become brittle. The mixture will also become fragrant. Transfer immediately to a bowl to cool. You don't want the spices to overcook and burn. Once the spices are completely cooled, then transfer to a spice/coffee grinder and grind to a powder. Grate 1/4 tsp nutmeg and fold it in. It is important to let the spices cool before grinding, as otherwise they will have moisture in them which is not good for storage.